Born of pure Yankee ingenuity, Pike's Original Maine Garden Hod reflects the very best of Maine's long tradition of functional art, craftsmanship and utility. 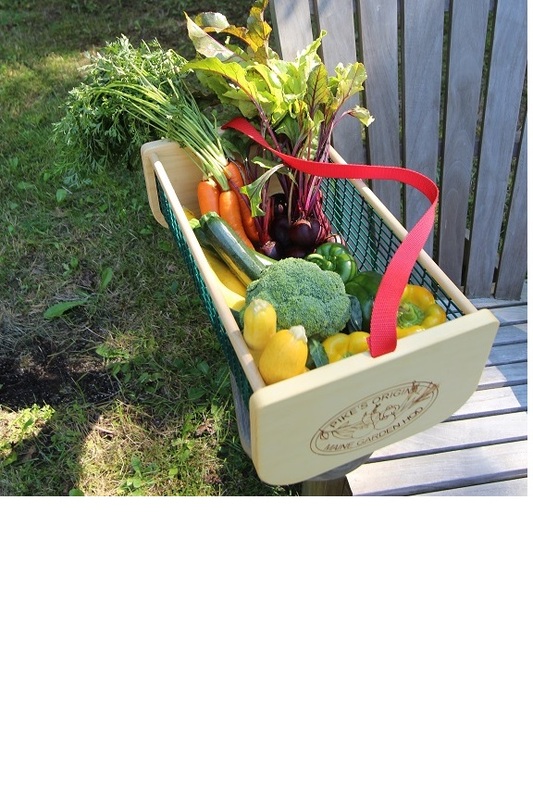 Designed as a harvest basket but used for everything from a picnic basket to a knitting basket to a place to store kindling at the fireplace. We have simply modified this with an adjustable flat braided handle that is soft and comfortable and swings to the side for easy loading and unloading.